Have you been injured in a farm accident? Farming has always been dangerous work — physical labor, often in poor light or inclement weather, and working around big, bulky machinery. When life-threatening injuries occur, medical help may be far away. Heavy farm equipment and animals can create risk for visitors, individuals passing the property, people working at the farm, and others. Agricultural work and equipment can be extremely dangerous, and defective machinery can cause serious injuries or even death. The Occupational Safety and Health Administration (OSHA) sets standards regarding agricultural working conditions. They establish mandatory regulations concerning machine guarding, personal protective equipment and ventilation on farms. The lack of these safety features often makes a major contribution in causing an agricultural injury. If a lack of safety features contributed to your injury, contact Baldwin Legal Services PLLC to discuss your situation. A surprising variety of insurance coverages and other avenues of recovery may be available to you after an agriculture accident. Exposure to agricultural pesticides and herbicides can produce acute and chronic toxic reactions. Symptoms of acute reactions include dizziness, vomiting, headache, fatigue, drowsiness, and skin rashes. Chronic effects of exposure can include central nervous system damage, lung diseases, soft tissue sarcoma, Hodgkin’s disease, non-Hodgkin’s lymphoma, leukemia, and lung cancer. Pesticide and herbicide manufacturers have a duty to warn the user about proper application techniques and the hazards inherent in using their products. The insurance company wants to settle your case as soon as possible – and for as little money as possible. After an accident, you need time to determine just how serious your injury is, what medical treatment or physical therapy you need, and how much your lost wages will be. 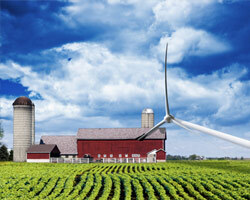 Our farm and agricultural accident attorney has a Master of Laws (LL.M.) in Insurance Law and knows how to protect you from the insurance companies, and to present your claim in the best way possible to ensure your rights are protected and that you get the maximum compensation available. If you or a loved one has been seriously injured in a farm accident, delay in obtaining legal representation may be a costly mistake. Please call 877-886-1441 or contact us online to schedule a free consultation. We are available 24 hours a day and 7 days a week. Home and hospital visits are available upon request. We will work diligently to ensure that you recover the full measure of compensation to which you are entitled.